This entry was posted in Biology, Signs, Social structures, Stereotypes and tagged expertise, feminism, feminists, Gender, gender equality, genders, knowledge, Men, opinions, sexes, Women by The Gender Observer. Bookmark the permalink. You may not have the intellectual right to discuss the mechanics of a phone, but you can talk about your experience using a phone. You can talk about how you spend money and how you feel when you breathe in oxygen. The same goes for our experiences with genders. Most people identify with a gender and most people, if not all, have felt gender roles and stereotypes placed upon them, so certainly they can talk about their experiences with that. Gender roles is such an experientially-based topic of discussion with not much technicality behind it, certainly not when you’re comparing it to cell phone construction. I think the key to understand gender roles is to open our ears to people’s experience, not shut them up because of their lack of expertise on the subject. You are absolutely right that people should talk about their experiences, and as gender advisers/specialists the key is exactly to listen to that and take it into account. Anyone who would shut their ears to people’s experiences would do a very poor job indeed. But to claim authority to dictate how people should live and be self proclaimed experts is something different. You are actually exactly proving my point here by not believing that gender equality as a topic does not require much technicality behind it, as most social sciences, as it requires years of studies and experience to work on it as well (at least internationally). Gender is far to narrow a focus. You don’t have cell phone button 6 over lay specialists. You don’t have right side of the front of 5$ bill specialists. You don’t have oxygen reaction specialists. Gender equality specialists is about like this. The people that claim “work with gender equality” Get a degree in sociology with a focus on gender issues, this may be worth something. The degree in “Gender Studies” is an associates degree with a double helping of double speak. 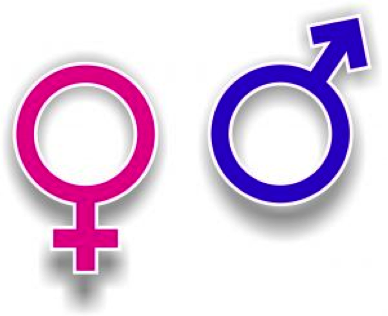 Gender is actually far from narrow, as it is cross cutting through many more areas than people normally are aware of. But I agree with you that gender advisers always must work within a context, often sociology, or within environmental studies, or food security, or peace talk diplomacy, or employment and social security strategies. The problem is when rather when people without analytic experience in gender structures take their own opinions and come with blatant public discourses which set gender equality back several steps. Thanks for your comment. You have no knowledge of what degree or studies I have in my pocket, so perhaps I just might have exactly that? I also believe that the specific gender studies take many various aspects into consideration, with everything from law, to sociology, history, anthropology and politics.